Shattered Lives bears witness to the lives of children who have experienced abuse and neglect, and highlights the effects of early traumatic episodes. Chapters take the form of letters to a child capturing their life experiences, hugely impacted by sexual abuse, parental substance misuse and loss, leading to feelings of shame, and worthlessness. 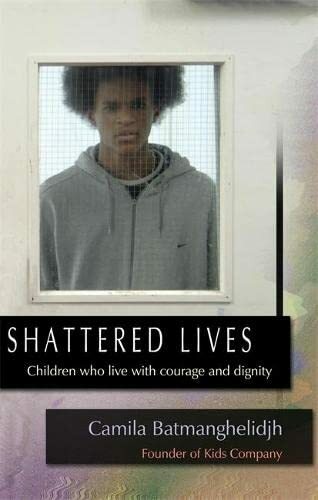 *Shortlisted for the Young Minds Book Prize 2006* Shattered Lives bears witness to the lives of children who have experienced abuse and neglect, and highlights the effects of early traumatic episodes. Chapters take the form of letters to a child capturing their life experiences, hugely impacted by sexual abuse, parental substance misuse and loss, leading to feelings of shame, rejection and worthlessness. Batmanghelidjh offers understanding for those baffled by these hard-to-reach children and warns against stigmatizing them for their problem behaviour. In her critique of existing structures, she exposes the plight of children who are overlooked by the authorities and denounces those who value bureaucracy over the welfare of the individual child. Society's failure to acknowledge the truth of their experiences and act to change the environment in which such mistreatment can flourish is, she strongly argues, leading to the death of childhood. The book is a clarion call for change.